This level has hard difficulty. 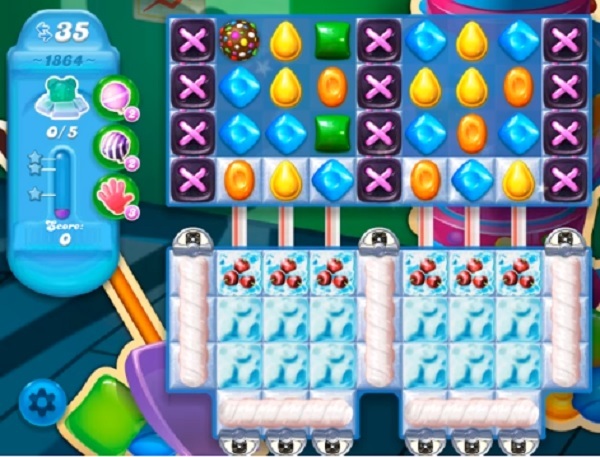 For this level from where more candies are available to play and make special candy. Combine special candies with each other or play near to snow blockers to break them all. I’m fairly certain if I spent another $10 in boosters I could win this game. Not happening! It has been fun, but I may be done. So every help or walk through for candy crush soda is saying hard. But when I am doing mine it’s saying super hard and the board is different and there is no way to pass this thing. This is why I hardly play it anymore!! PLEASE DO SOMETHING TO FIX THIS LEVEL.